Now that I build and paint more than I play 40k, I tend to need specific items. If I can't get them from my FLGS, I go online. I don't love shopping online, I love the convenience of shopping online. I don't do it that often, but the ease at which I can get things for the hobby makes it almost essential in this day and age. Everything is online now. But, shopping online is not without its pitfalls though. With the holiday season coming up, I thought I might break from the norm and offer a few tips that I've found and follow when it comes to shopping online. While these are not going to "save" you, they might help you avoid problems when it comes to buying something online. My experience with one company may be different from another person's dealings with the very same company. There are companies out there that I use all the time that some folks will never buy from and there are companies out there that others use all the time that I will never run into. This is about making sure you are an informed buyer when shopping online and that you're smart about where and with what businesses you spend your money. With the hobby costing more and more each year, none of us can afford to run into problems after we've saved up our money for that one figure we've been dying to get our hands on. 1. Understand how PayPal or your credit card works. No matter what method you decide to use, you need to know how they work. You should have an understanding of the complaint procedure and how you can get your money back (if possible) should you discover the business or seller is not following through on their end of the deal. This might take some research, but it's worth looking into before you find yourself trying to figure it out in the middle of a problem. 2. Look for signs of security. Legitimate sites and businesses will display these indicators. Many times businesses will display seals from Verisign, GeoTrust, SSL.com or others. Another thing to look for is the lock at the bottom or top of your browser indicating a secure site when it comes to ordering and transmitting private information. Many sites will be listed as https: instead of just http: in the top bar as well indicating it is secure in terms of information being transmitted online. This helps verify that the information you are sending to them is being transmitted securely and is not as easy to get a hold of by folks who are trolling the internet looking to steal individual's personal financial information. 3. Research your merchant and check their reputation. This may be the biggest one of all. I do this every time I order something from someone new. Whether it be an online store or an eBay seller or whoever it is. Do your homework! Look around at what others are saying about the company. Anyone can set up an online storefront these days. Take a look at what folks are saying about the company or seller. Both the good and the bad. You want as many different opinions and experiences as you can find before you spend your money. If something doesn't seem right to you or you're not comfortable, then don't do it! Walk away and look around for someone else who has or is selling something similar. Trust your instinct here. If you don't see anything on a particular company or buyer, then ask around. What's the worst that will happen? You'll get some info and decide not to buy from them and keep your money? Another thing to look up is their return policy. This information should be posted on their site as well. I do this one all the time with stuff I buy online. Save your emails, letters, receipts and such until the transaction is complete and you have your stuff in hand (and are happy with it). Save any bank or Paypal information that it sent to you as well. Once everything has cleared, then you can delete all of it. It's better to keep that information and not need it than it is to need it and not have it. All of these things or hints fall on the buyer's shoulders to take care of. You need to be looking out for yourself when you're spending your hard earned money online. The last thing you want is to run into any problems and have to deal with that hassle when you should be building and painting your new model. If you've got any questions about something in this post, shoot me a comment and I'll be glad to answer. Make sure to share your tips and tricks you use when buying online in the comments below! When buying Ebay be wary of sellers with low stars. You get a star for each purchase/sale,if someone has less than 100 do extra homework,look at all the feedback. Not saying they are all bad,we all had to start somewhere,but if the item is over $50 and the seller only has 10 stars,my red flags start waving. Also check the shipping price too,some people will sell the item at a deep discount only to charge you the savings as shipping and handling. And always remember if a deal looks too good to be true it probably is and most likely a scam. Yeah, I've had similar experiences. Research the feedback of sellers on ebay too. Sometimes people create dummy accounts and artificially inflate their feedback rating. What is the opinion about pirate FW bits? I steer clear in general because usually the wait would be the same or longer and you never know what the quality will be like. It seems like there are resin pirates from Russia, Greece, Hong Kong, and the Philippians. I don’t know what to think about that Tabletop Universe from Germany. They may be real FW bits, but again I’d rather just buy from FW directly. I’ve bought used FW models on ebay from US sellers that I can tell are recasts. Buyer beware. I didn’t know they were fake when purchased. There is some guy in Utah that sells the same Ork Mega dread with a missing arm all the time. What does that tell you…..recast! And, another thing. Anytime you see a ebay listing for brand new FW miniatures that do not include the base..... RECAST! This is a decent article... but you need to write one from the flip side. I have been ripped off far more times as a seller than as a buyer. How do you protect against buyers making false claims just to get a refund (while keeping their stuff)? The most recent one I remember was an Ebay auction I sold that included a large amount of Pirates The Constructable Card Game (if that is what you call the little boats made of thick card that come in packs of cards) that were unpunched. I had like 400 ships in this auction, and he got it for a song. But having made the committment to sell, I sent it anyway, wrapped in a nice padded and bubblewrapped envelope. A few weeks later, without opening a dialogue with me, he opened a paypal claim saying that most (if not all) cards were already punched out, scratched, in poor condition, not as described, etc.... all of which were bold-faced lies. Due to Paypal's resolution process, they have a tendency to side with the buyer no matter what, so I was forced to either pay to have my stuff shipped back to me AND refund his money, which I couldn't do at the time, or give him a partial refund. So, he got all my stuff for 7 dollars plus shipping, and I got screwed. I haven't sold anything on Ebay since. I like tip three the best. Let the hive mind (the internet) try it out first and see what they think. As a tangent to tip #3: if you're getting great (or terrible) service from a seller, don't keep it to yourself! I try to go out of my way to circulate feedback about sellers and internet stores on all the forums I post on. If it helps a fellow hobbyist make the right choice, it's worth taking a minute to comment. I agree that an article about safe selling would be an interesting read, too - a lot of us have been burned one way or another even selling through relatively safe sites like ebay. Oh, yeah on buying safety; as well as checking out the sellers, if you're bidding on an auction site, ALWAYS double check all the specifics in the item listing. It shouldn't need saying, but I've seen way too many good looking deals with nasty catches in the small print. I'm sure a lot of people in internet hobby circles remember the "picture of 5 orks, small print specifying you actually only get one of them" incident on ebay a while ago... can't be too careful. Going to say I've had pretty good experiences with 2 Re-casters on ebay, ones quality is about 95%, but the shipping time is loooong, the others quality is better than my recent forgeworld shipments (no air bubbles/warping/snappages etc) and gets here in like 2 weeks from somewhere in China/Russia.. 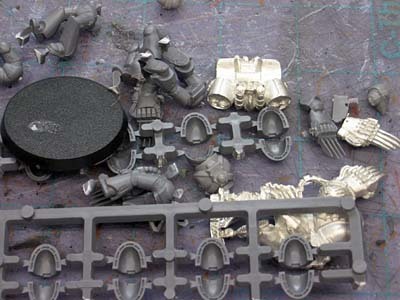 So as much as I love forgeworld, when I need lascannons for a vendetta, or a random character, it ends up cheaper and easier to go with the re-casters (especially if you only have paypal and not a credit card).. I'm with Nick, the 2 items I've seen from recasters in China and Russia were excellent - better than some of my recent FW purchases in fact. I'm in the same boat re credit cards, so any way of paying with Paypal is a bonus! Can't say I've really been cheated yet, but I've run into some really irresponsible sellers. My last purchase over Ebay didn't ship until ten days after checkout--the day before Hurricane Sandy hit. Cyber crimes are increasing day by day, the customer should be aware of the security system of the website before purchasing any product online. Excellent stuff folks. I never thought about the other side of this. I'll collect my thoughts on the "flip side" this weekend and post it up. I have a few things I do as a seller as opposed to a buyer in order to protect myself. Use reputable sites. If it's too good to be true, then it is... and don't buy any bridges. The best protection is using a credit card. It places a barrier between you and the merchant and allows for recourse should you need to take it. You have the added benefit that you are not actually spending your own money too; where as a debit card or PayPal will use your funds (checking account). And it's because of this that, in my experience, credit card companies tend to be a lot more "forward" with their approach to getting you your money back. I've unfortunately needed to go through this process several times (once for a $1000.00 purchase) and have always gotten my money back within 24 hours. As to the sellers point of view... Absolutely, it's a two way street. There are just as many unfavorable buyers as there are sellers. However, the article is about purchasing safety. FW and OOP purchases at great prices from Russia and China are Re-cast, Period. Nice topic Ron, shame even in our niche hobby we have to guard ourselves. "Do not use Ebay!" - that's a little over the top, don't you think? My gaming group have made extensive use of Ebay since we've got back into the war gaming scene. We probably have somewhere around 200 separate deals between the 8 of us. Of those, I can name 4 where there was an issue. That's 2%. First one, the seller send 30 dire avengers. They were painted bad and some of the leg pieces had been replaced with spur material. Also, one was a guardian. The worst part was he included the empty spurs with the box - for what reason, we'll never know. That being said, it was an amazing deal. $30 all in. Second one, someone ordered a few hormagants. These got lost and it was too late to file a dispute. This was only a small deal of less than $10, but still annoying. Third one, I bought an order from Abaddon. Shipping was a bit pricey to Canada, but it was a good deal. When this came across the boarder, I got charged about the same amount for duty. I won't buy from this guy again, but only because I'm in Canada. The order was still cheaper than getting it from the store. Last one, ordered 10 different bits from Horde-and-Bits. 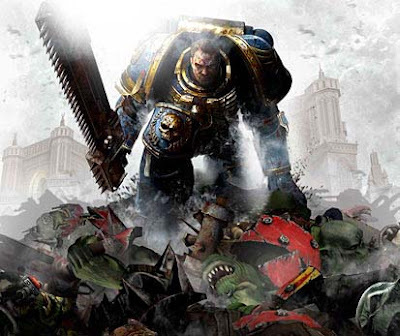 He sent a marine dreadnought body instead of an ork deff-dread body. He just refunded the price. Of those, I really only consider 1 of those a sale that went wrong. If that 0.5% risk is too much to justify the discounts that you get, then so be it. Of course, your mileage may vary. That being said, I typically use Bartertown or Dakkadakka swapshot for online buying. Yes, there is more risk with those two, however there are people that will fight for you (and you can file paypal disputes). Probably done 15 trades in those places with no issues. Honestly, even if I get burnt a few times, it's not going to turn me off of these places. Yes, I may be using a medium with a name, however, it is the individual person that that is the issue, so re-read point three in the article. oni: I've had some bad experience with eBay myself, but I've also had some great ones and picked up some super bits. For me, it's the research first. I don't like how much they take from you when you sell something. Siph_Horridus: It's true. Even in our little world of toy soldiers, we must be vigilant. TheWarRoom: Long comments are welcome. Thanks for sharing the places you visit too. Research is perhaps the one thing you can do before you find yourself in a bad spot. I may not always prevent a problem, but it's the one thing you can do before you get mixed up in a ordering dispute. I have to second the horde of bits and discount games store on ebay. They've done great services for me, especially the discount games store. My girlfriend and I started up a new army each, spent about $500 but saved roughly 400 off normal retail price. Shipping being free helps too. That said, before I buy anything I read all negative or neutral feedback and any responses to them by the ebayer and usually skim through several pages of positive feedback to get a good idea. If you can also check out the auctions that people left negative feedback for as I've found plenty of people who buy something expecting it to be new in the box when the auction clearly states it's not in the box and leave negative or neutral feedback because they didn't read that part. Still, no matter how diligent you are there will be bad things that happen sometimes. All you can do is avoid the riskier ventures. I go to Dicebucket.com quite a bit. I have only had one problem with them, and that was that they sent me a monolith instead of a Ghost Ark. I wasn't even mad, because I needed one of those too anyways. They ate the difference and told me to just buy another Ghost Ark. On top of the 25% off, I saved and extra $25 bucks from their mistake. Of course, other than the monolith (warped, but what lith isn't) I have had no problems with thier quality. Robert: Well put. Avoid the riskier ventures. HiveTyrant36: At least you've got someplace you can go for stuff that you trust. Having that is a nice option.